The latest mass shooting left ten people dead and seven more injured last Thursday at Umpqua Community College in Oregon. As mass shootings occur throughout the country, Salt Lake Community College and the Utah Highway Patrol take appropriate measures to safeguard and prepare for such emergencies. The increasing frequency of mass shootings in America puts college administrators and law enforcement on high alert. 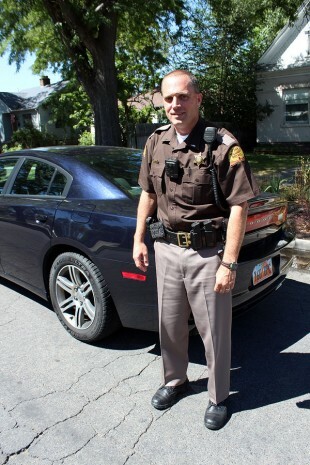 “It is one of the concerns [President Huftalin] and her cabinet have, and we [share that concern] in law enforcement and we train for it,” says Utah Highway Patrol Lt. Jeff Willmore. SLCC disbanded its own police force in 2003 and signed a contract with UHP. One to four highway patrol officers are stationed at Taylorsville Redwood, South City, Meadowbrook and Jordan campuses. What happens if a shooting takes place? Once on scene, an officer’s main concern will be to stop or contain the shooter. Officers may also call in support from other law enforcement agencies. Response time, which can depend on a number of variables, may be as little as three minutes. “Generally in an active shooter situation, when they encounter law enforcement the shooting usually stops,” says Lt. Willmore. Students, faculty and staff will be warned through emergency alerts that the school is on lockdown. Anyone interested in receiving these alerts can sign up through MyPage. What happens after the shooting stops? Students, faculty and staff will receive another alert after an active shooter is stopped or contained. Officers will sweep the building while classes stay on lockdown. Everyone will be evacuated after authorities sweep the building and give the all clear. 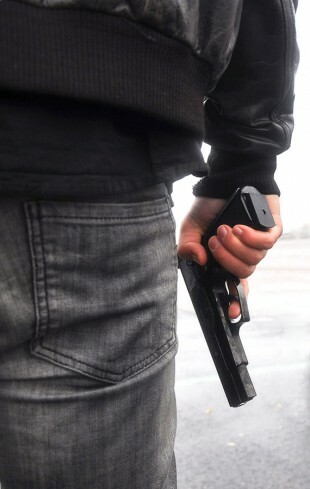 Even if there is no loss of life from a shooting, the campus will become a crime scene. Students, faculty and staff are should not stress over the threat of a shooting on campus. Officers spend a lot of time to make SLCC a safe place for everyone. “Keep this in perspective; there’s a greater chance of being struck by lightning then being killed by a active shooter,” says Lt. Willmore. While a campus shooting is unlikely, students are encouraged to pay attention to their surroundings and report any suspicious behavior to authorities. The sooner authorities can be notified, the sooner a possible shooter can be stopped. For emergencies on campus call 911 and for non-emergency call 801-957-3800. I love our police officers. They put their lives on the line for us everyday and work hard to keep us safe. No one else shows up to a shooting. People who don’t like cops can call a crack head and ask for help next time they need it. Police officers are heroes and deserve much more respect than they are given. So to them, I say thank you for your service. The bulk of this article is feel-good blather. I am glad that we have this article about the recent shooting especially when it is something that could easily happen here at SLCC. I am also glad that the SLCC president gave a reassurance that safety is number one goal here and to say that to go on with our lives by not being in fear of being shot at. If we live in fear of being shot at or being some terror attack then we are letting the bad guys win. We must continue to go about our daily activity and just be keen on what is going around us and report any suspicious activity to the local authorities.